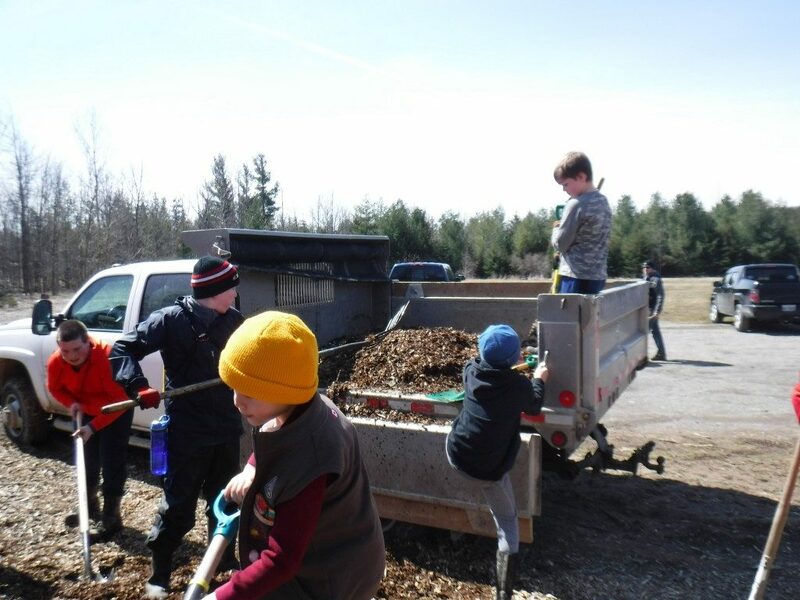 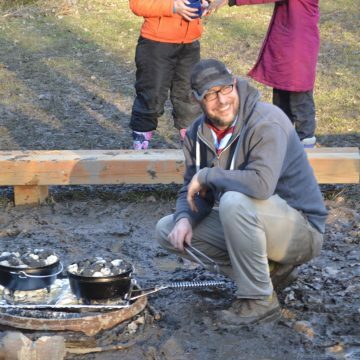 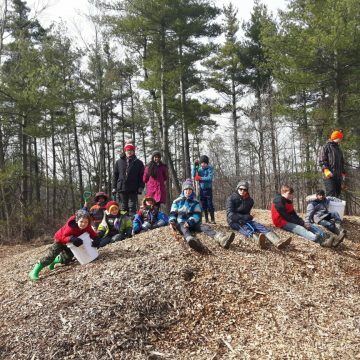 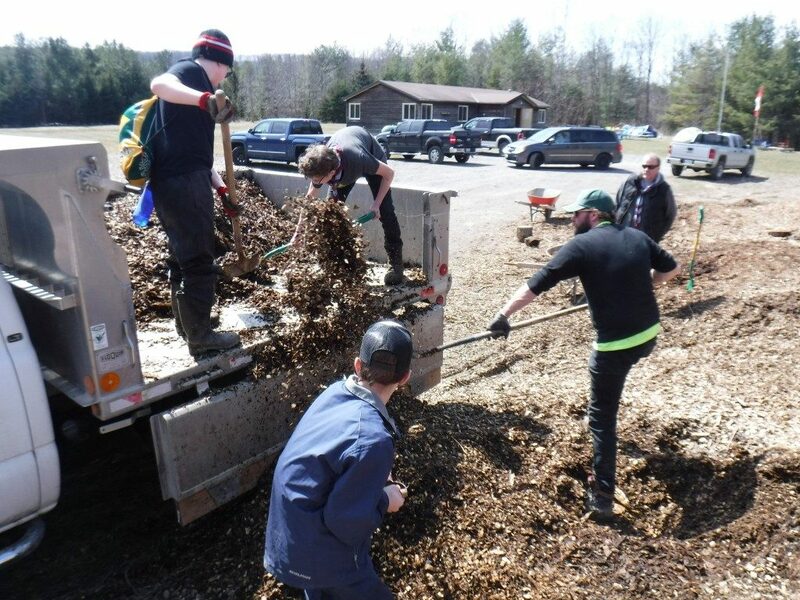 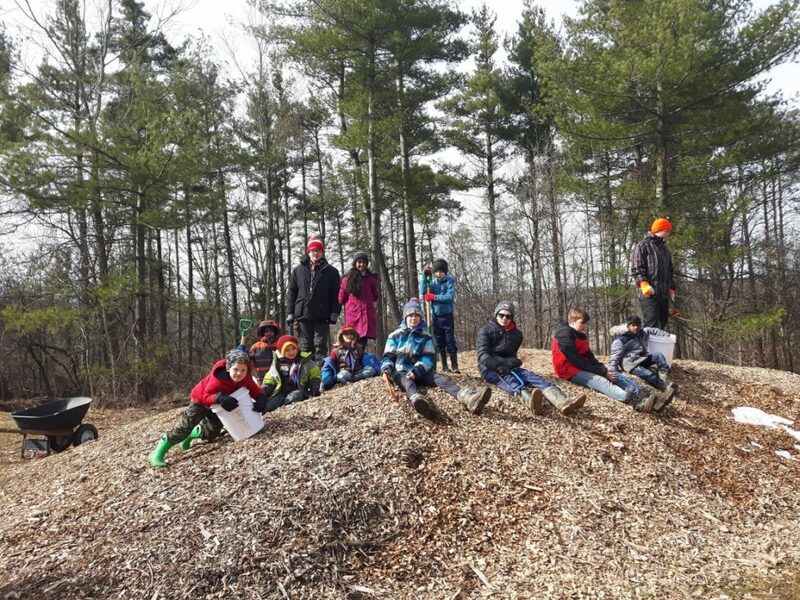 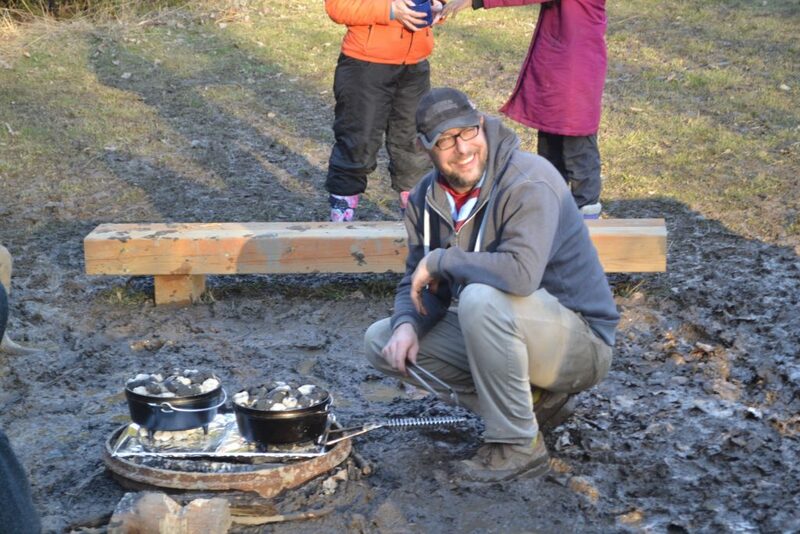 6th Dundas partnered with the HICOP Nature Centre at Camp Nemo for a fantastic service project on the April 20-22, 2018 weekend. 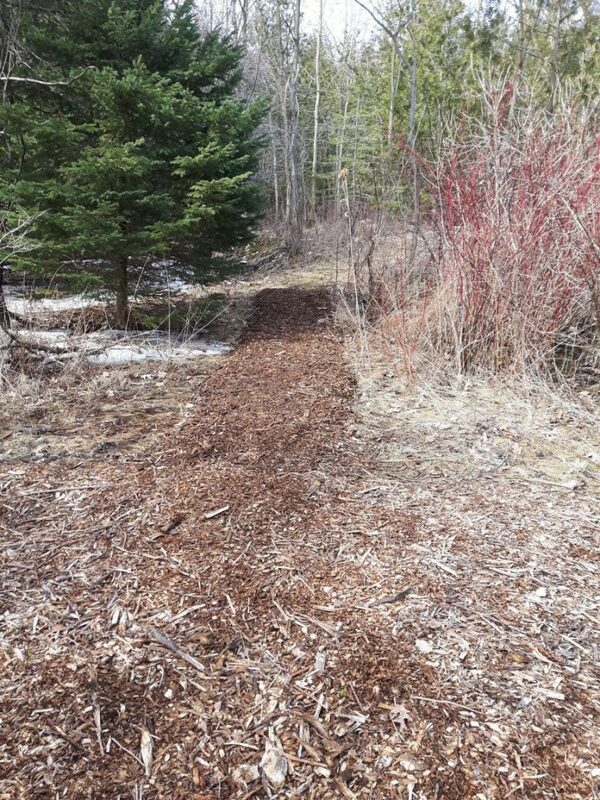 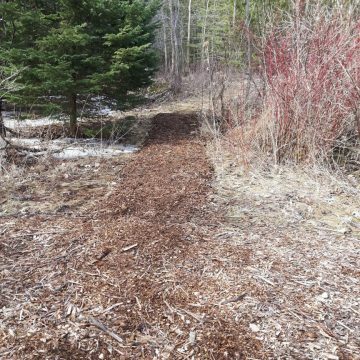 To replace a decommissioned trail the HICOP developed a new “Beaver Trail” and 6th Dundas offered to help lay down wood chips that will help keep the trail well-defined and dry. 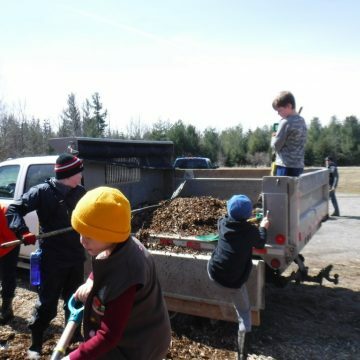 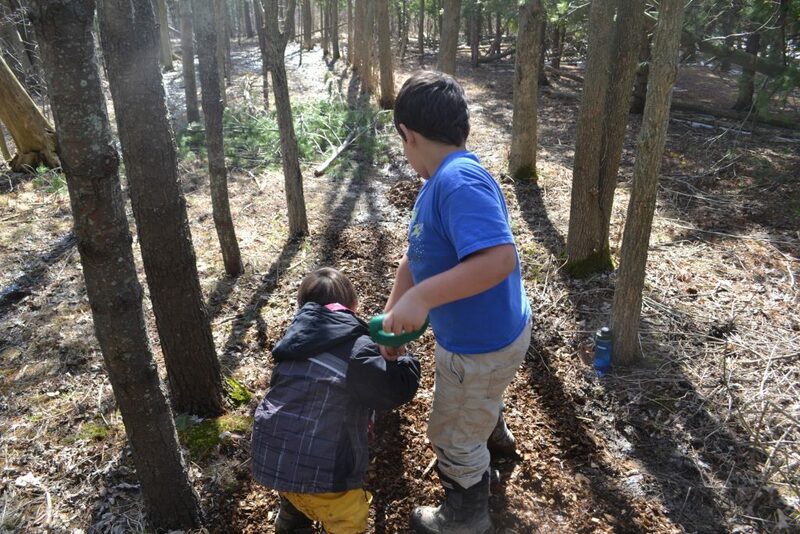 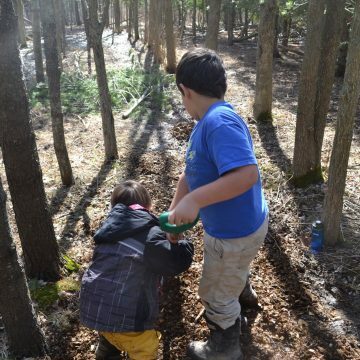 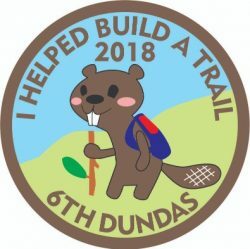 Close to 30 Youth, Scouters and Parents from all sections of 6th Dundas came out on a gorgeous weekend and helped make the trail project happen. 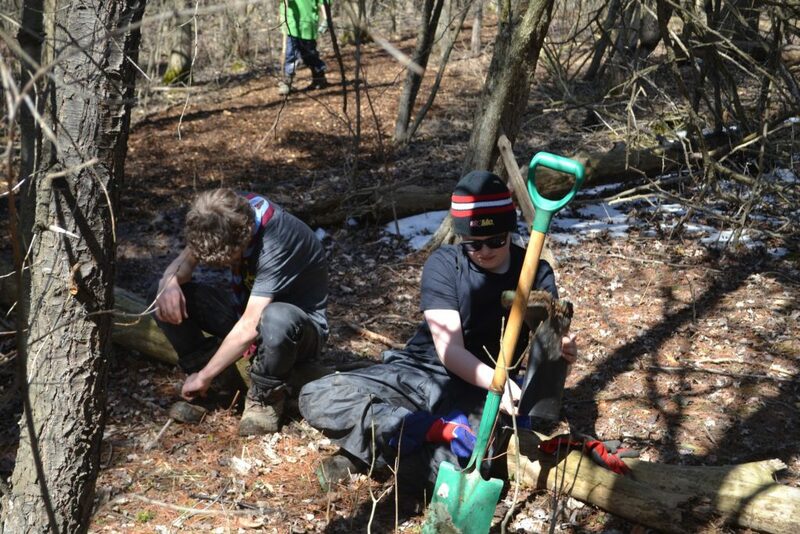 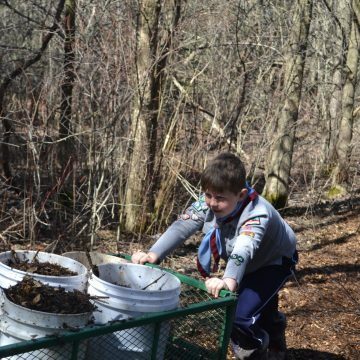 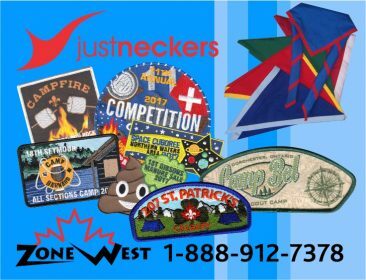 The project was organized by Venturer and Pack Scouter Nathan St. John, supported by several youth working on their Top Section Awards. 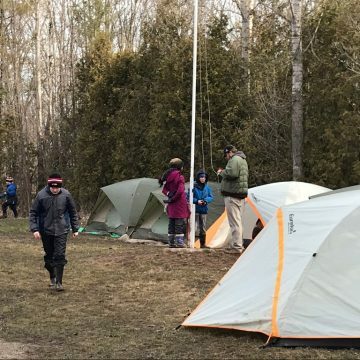 6 weeks prior to the event Nathan and a team of Venturers, Howlers, Trailblazers and White Trails met with a representative of the HICOP Nature Centre at the Camp to define the project and to find out what we could do to help the camp. 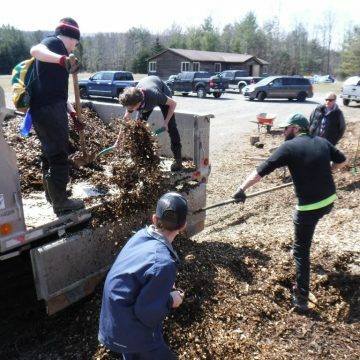 From there the senior youth went to their sections and talked up the project with the other youth as they knew many hands would be needed. 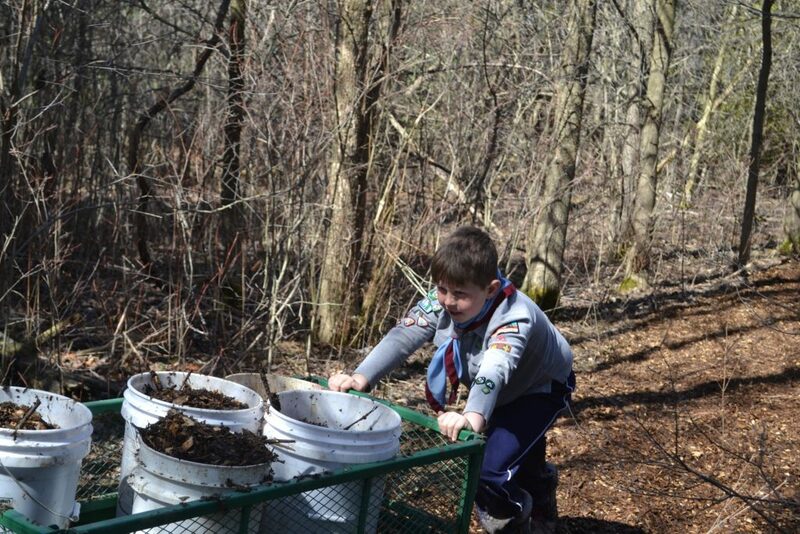 Each section was also asked to contribute to the menu and to the downtime activities for the camp. 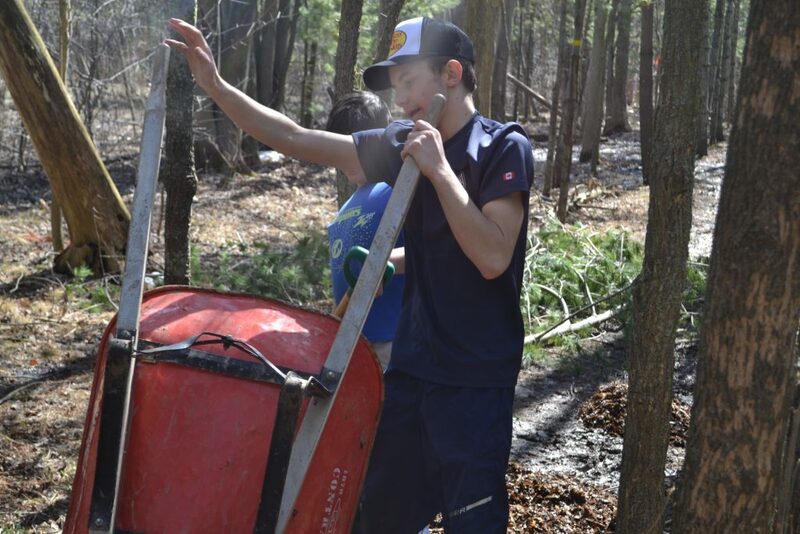 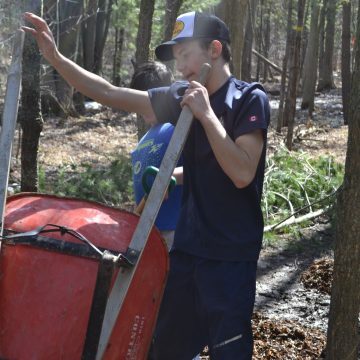 With the potential for a number of youth at the Beaver and Cub level camping in cool spring temperatures, Nathan worked closely with Section Leadership and the Group Commissioner to ensure proper equipment lists were sent out to help the youth prepare for the weekend’s conditions. 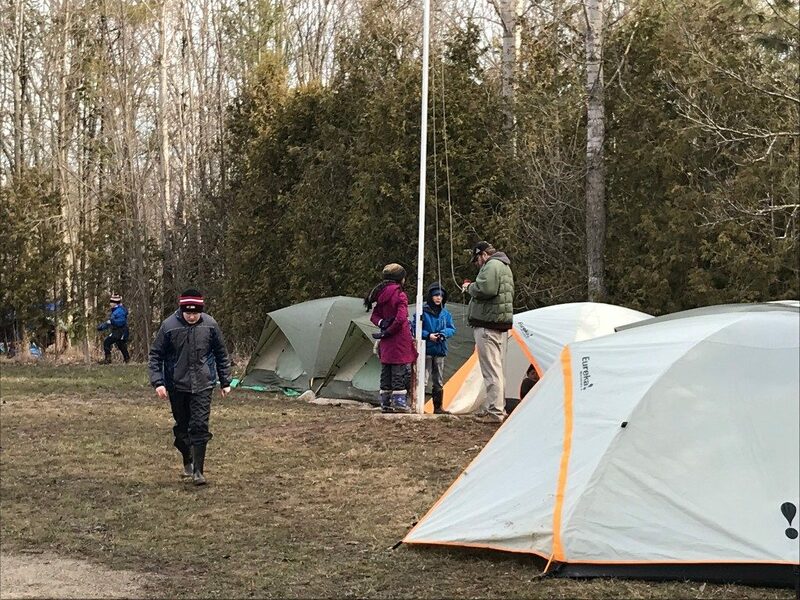 It was a fun weekend of teamwork, giving, and for many of our campers new experiences in camping for the first time in below zero temperatures! 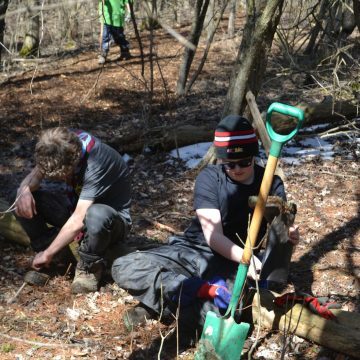 For the camp, the group help develop a new nature trail that will provide the basis for new outdoor adventures for years to come!